We all have beginnings in life. Why not celebrate it? True story or not, this book definitely seems like parts of it is based upon a true story. The details are so in depth. 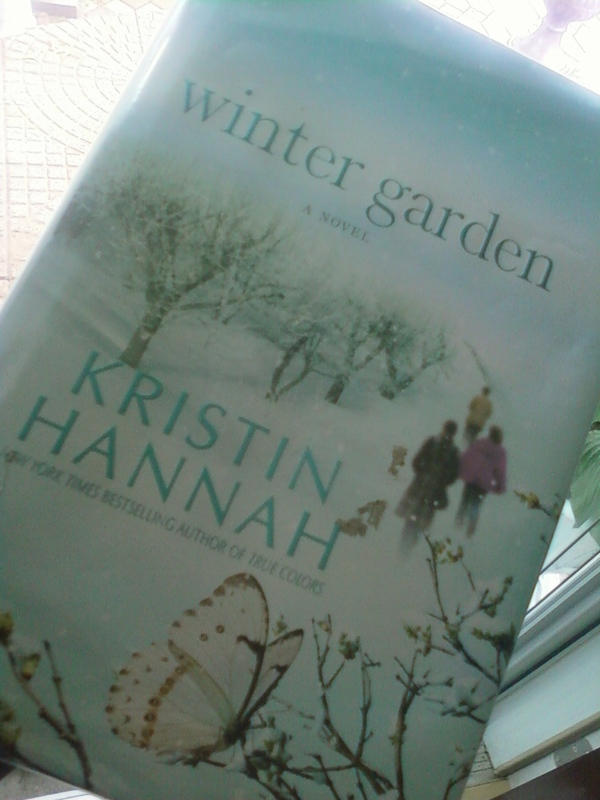 Winter Garden was a great read in my opinion. I read it within the last weeks of August, when I did most of my traveling, which was fantastic because reading made my trips feel shorter than they actually were. I think reading does that. You read a few chapters of a book then look at the clock and say " WHAT two hours passed already?" Time definitely fly's when you're reading good book. So anyway, Winter Garden is not centered on romance as much as True Colors (another one of Kristin's fabulous books) is but it does have a pinch of "present" romance with two of the characters. If any romance is seen in this book it is probably because it is slightly a love story, not based on fairy tales, but carries a more significant...plot or theme. The story in this book is important, in that it holds more than just your basic boy likes girl,girl likes boy theme. I feel like this book has some Russian history that is not talked about much in other countries. Family struggles, separation, love, hurt, strife, poverty and so much more life experiences are written in this book. Sure Winter Garden may be fiction but there is no way that you can't agree with me that what happened in this book cannot happen in real life. Although the mood in the characters throughout the book may be a bit gloomy and depressing, the conclusion of the novel is well worth reading through it all. Although I don't plan on writing a review for Kristin Hannah's already published novel True Colors I still recommend it to her fans and those who enjoy reading romance. Just a couple of words to describe True Colors: Strength, Hope Love, Faith, Pressure, Patience, Gossip, Small town...True Colors is also worth reading so purchase it at your favorite book story or even better borrow it from your local library.